About a year ago I discovered at Hallmark this amazing scent. Every time I would go in I would always spritz a little on my wrist, not ready to make the commitment of purchasing a bottle for myself. So after admiring it all this time, this was the only thing I asked my husband to get me for my birthday this year – I had to have it! 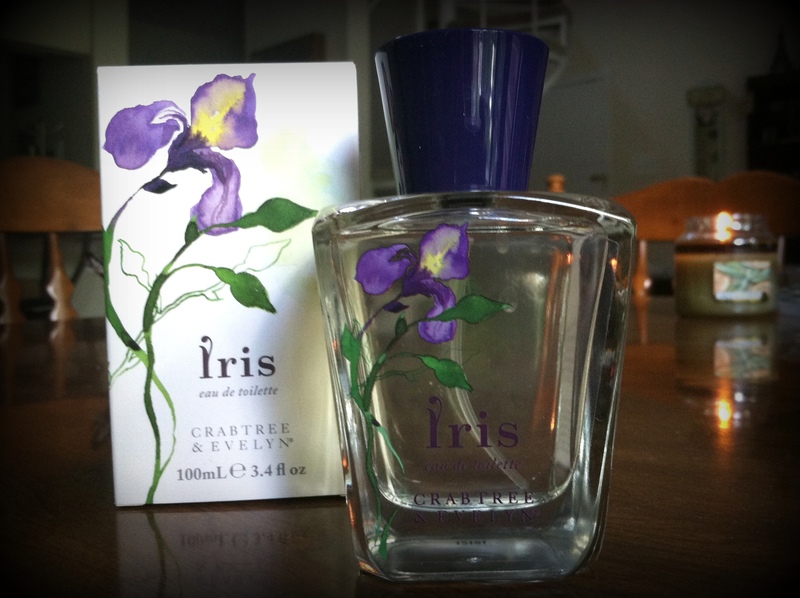 This is such an earthy yet soft and feminine blend of fragrances. Right on the box it tells you that the inspiration from this perfume stems back from the Renaissance era, as they’ve used the root of the iris flower. They’ve combined it with sandalwood, patchouli (my personal favorite), and vetiver. Such classic scents! If you can’t find this at your local Hallmark, you can find it at www.crabtree-evelyn.com. p.s. I strongly recommend the hand cream as well!